Take a virtual sky cruise tonight as your sky guide shows you famous celestial objects and highlights the brightest stars and star patterns. View the full Show Show Calendar HERE. Along the way, you’ll hear interesting facts about the night sky and the intriguing objects it harbours. Enjoy the sparkling clear sky view as you gaze into star clusters and have famous star constellations highlighted for you. It’s a sky show that highlights whatever is overhead, eg moon, planets. You’ll be comfortably reclined in a camping lounge and armed with a powerful pair of binoculars. Famous objects in the sky tonight will be highlighted as your sky guide peppers the sky show commentary with interesting facts. The sky view is enormous and you will be treated to a panoramic visual feast as you hear about our home star the Sun and how we fit into the night sky on planet Earth. for if attending with their family if they occupy a reclined or upright chair. Very young children may not be issued with audio units or optical equipment. See our FAQ page for further information. If your date is not available view the full Show Show Calendar HERE. The sky show tonight features awesome viewing three ways - with telescope, naked eyes and binoculars. The sky will be sparkling with stars. A great introduction to astronomy and how to view the night sky. 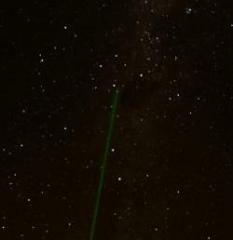 The Broken Hill sky is explained by your knowledgeable sky guide. The key features of your view are explained. Telescopes and binoculars enhance the viewing. From the comfort of your reclined camping lounge you will see your sky guide highlight famous celestial objects overhead, including clusters of stars, nebulae and the great superstars of our visible night sky. Your celestial feast includes views of the biggest and brightest stars possibly seen from planet Earth. Depending on the time of year, you may see the smoky hazy outline of the Milky Way or the sparkling open skies featuring the fabulous well known icons of the summertime, eg the saucepan and the dog. At certain times of the year guests view naked eye visible galaxies, eg Andromeda Galaxy. You'll hear the story of the sky as it came to be known across the timeline of human existence. Whenever possible, fine examples of Australian Aboriginal interpretations of the night sky are included along with some classic western mythology. Your sky show tonight combines entertainment, science and humour in good balance. Images have been seen in star patterns for thousands of years. In this sky show, we connect celestial objects to myths of the Greeks, Romans, Egyptians and others. Images have been seen in star patterns for thousands of years. The images may be difficult to relate to now, but the thought of heroes, princesses, gods and monsters in the sky is distracting. In this sky show, we connect celestial objects to myths of the Greeks, Romans, Egyptians and others. Star patterns and significant celestial bodies are explored in both the western and mythological contexts. 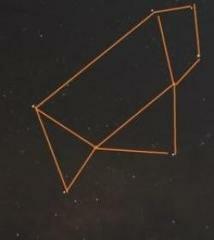 The main constellations in the sky on the evening of your Sky Show are featured. Your knowledgeable Sky Guide will put famous constellations into context and highlight important objects like planets, star clusters and nebulae. You will take a virtual journey through history and cross over into a world of ancient civilisations when the boundary between astrology and astronomy was murky, and a dangerous line to cross! Your Sky Guide will outline more recent understandings of the sky above, highlighting any planets or “wandering stars” that are visible tonight. You’ll be comfortably reclined in a camping lounge and armed with a pair of powerful binoculars. Depending on the time of year, some star patterns of relevance to Indigenous Australians may be highlighted. at the discretion of Outback Astronomy staff. Tonight we have darkness as we gaze into the sky. 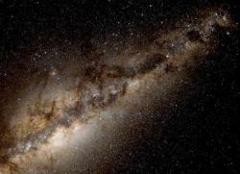 You’ll see countless stars nestled in the smoky hazy band of our home galaxy - the Milky Way. View available dates for this Milky Way show or go to the Calendar to see all Sky Shows. The band of the Milky Way is a lost view for many people across the world due to light pollution, haze, vegetation and built-up communities. But you can enjoy the view with your naked eyes here in Broken Hill. In this Sky Show, your senses will be immersed deep in space. While comfortably reclined on a camping lounge, your Sky Guide will explain the view overhead. You will gain perspective about our place in the majestic Milky Way Galaxy. This is a great way to become acquainted with our night sky - nature’s most beautiful, sparkling canvas. Your naked eyes will devour the galaxy. On this virtual galactic cruise, we arm you with powerful binoculars so that you can properly explore the magnificent celestial objects. 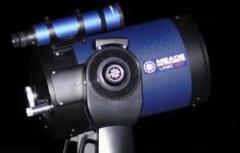 We'll highlight visible planets, star clusters and famous constellations. Your knowledgeable sky guide will show you where to look and explain the objects. There’s no better way to be introduced to our galaxy! Please see our FAQ page for further information. The moon dominates the sky but don’t be phased by it! There will be plenty of stars and celestial objects visible. We’ll check out the moon's features as we gaze through powerful binoculars. You will see craters and other surface features. 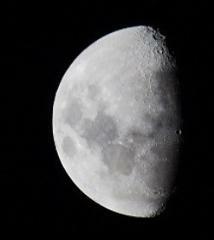 The moon is out tonight but don’t be phased by it! There will be plenty to see. We’ll check out the moon's features as we gaze through powerful binoculars. You will see craters and other surface features in detail. We'll observe bright stars in the sky. 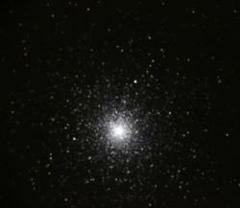 Your sky guide will highlight other visible objects like star clusters and famous star patterns. Your sky show experience will be enhanced by use of powerful binoculars. The sky is explained in ways that will make you hungry for more knowledge. This is a great sky show for the beginner gazer. You can gain moon viewing skills too. It is something you can do with your friends and family. 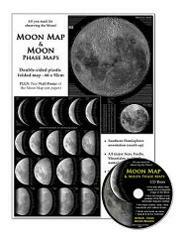 Tonight you may opt to buy a set of moon maps, including large moon poster with key features marked. It includes a CD with PDF phase maps. Identifying bright stars in the sky is also a rewarding pastime when you have clear skies. Tonight, you may opt to buy a set of star maps. If you plan to buy maps or equipment like binoculars for sky gazing, consider doing so tonight. We will package maps, binoculars, adaptor and tripod for you and give you a 10% discount off the online shop price. You collect when at your sky show. See our FAQ page for other information. Tonight, enjoy a sausage sizzle as you watch stars pop out. We’ve timed our sky show tonight to include an early, simple dinner snack as the dusk turns to darkness. Tonight, enjoy a sausage sizzle as you watch stars pop out. We’ve timed our sky show tonight to include an early, simple dinner snack as the dusk turns to darkness. Pop some barbecue sausages it into bread and drizzle with sauce and fried onions. The sizzle is included in your sky show price. Your sky guide will explain the story of the stars overhead as they pop into view. After the sizzle, when dusk has turned to darkness, you will be in reclined comfort. We will introduce you to some of the most recognisable objects in our heavens. We virtually travel to the brightest stars overhead and explain their amazing stories. If there are planets out we will view these. If the Moon is out, we will take some close up views of its surface. Binocular and telescope viewing tonight, along with our naked eyes. We supply all the gear necessary. Dress appropriately for the time of year and remember that warm days often turn into cool or cold evenings in the outback. Drinks available from our sky dome bar. Tea and coffee complimentary. This is a great introductory sky show for anyone interested in the sky overhead. We’ve timed our sky show tonight to include a special viewing of the Moon as it rises. The sky show is timed to enable viewing of stars and any planets visible tonight. We’ve timed our sky show tonight to include a special viewing of the Moon as it rises. The sky show is timed to enable viewing of stars and any planets visible tonight. Your sky guide will explain the story of the stars! You will be introduced to some of the most recognisable objects in our heavens, including famous constellations and star clusters. We virtually travel to the brightest stars overhead and explain their amazing stories. We will give you context and allow your senses to imagine what it is like in space. Come and hang out with the stars and welcome the rising Moon. During the moonrise, we’ll describe the importance of the Moon and its current attraction for space agencies and corporations. 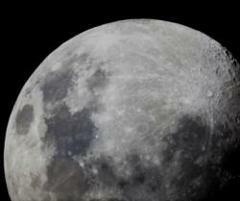 We'll reveal the Moon's importance to Earth and humans. This sky show explains what we know about us, as much as can be told, that is, since the story is still unfolding. Tonight we narrate the easy to digest version of the Big Bang Theory and stimulate your imagination. This sky show explains what we know about us, as much as can be told, that is, since the story is still unfolding. Tonight we narrate the easy to digest version of the Big Bang Theory and stimulate your imagination. The sky is vast and from Earth we see just a small part. So much is out of view. So much is unknown. Where did we come from? Why are we here? We’ll take your mind back in cosmic time to the Big Bang and whiz forward through time to the present. It is a sky show for contemplation and importantly, a celebration of human triumphs. We briefly consider astronomical discoveries of significance and highlight some of the key outstanding mysteries of the universe. The sky in its glorious darkness is showcased for you tonight. You’ll gain a better sense of how the soupy origins of the universe transformed into the sparkling canvas that is our night sky. Enjoy an evening under moonlight while you learn about the cosmos. We will introduce you to our nearest natural satellite, the Moon, and the brightest stars overhead. This is a great introduction to naked eye astronomy. Dinner is optional. View the full Show Calendar HERE. visible, we’ll introduce you to them as well. out the venue for the commencement time noted in the sky show schedule. ensure we can cater for demands of the evening with the freshest ingredients. Purchase drinks from the bar as usual tonight. As this is a sky show for the beginner gazer as well as those already immersed in the field of astronomy, you may opt to buy a set of moon maps and star maps. If you plan to buy maps or equipment like binoculars for sky gazing, consider doing so tonight as you will receive a 10% discount off the online shop price. You collect goods when at your sky show. Children up to five years of age in attendance must be paid for if attending with their family if they occupy a reclined or upright chair. Very young children may not be issued with audio units or optical equipment. These decisions will be made on the day, at the discretion of Outback Astronomy staff. If your date is not available view the full Show Calendar HERE. 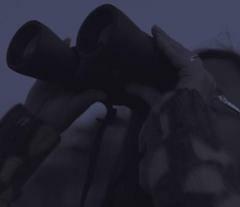 The sky show tonight features naked eye and binocular viewing. A great introduction to astronomy and how to view the night sky. Your sky tonight in Broken Hill is explained by your knowledgeable sky guide. The key features of the sky are explained. Commencing at dusk, welcome in the night sky. We'll talk you through your celestial journey as the veil of darkness falls. This sky show commences at dusk and continues until astronomical twilight. You will see the bright stars pop out. Your sky guide will highlight the wonderful view above. As no chairs are set up this evening, your comfort will depend upon you bringing a mat, a blanket and a cushion. You may lie fully horizontal on your back to gaze up or you may elect to sit cross legged on your cushion. All sky show attendees at this event must bring their own mat, blanket and cushion. All attendees must ensure they are dressed warmly. This sky show has been priced to suit active, curious persons who love the outdoors and who can avoid creature comforts for this 60 minute sky show. If you are interested in learning about the night sky, and you are a novice or beginner in the field of astronomy, this is the sky show for you. If you are from a city with bright lights that inhibit your view of the night sky as dusk turns to darkness, this is a sky show for you. If you have never seen the slow reveal of the Milky Way Galaxy as dusk turns to darkness, this is a sky show for you.